Nairabookstore is an online academic and book interface between authors, publishers, researchers and the readers, with easy to navigate website that gives flexibility to both authors and readers. This platform has succeeded in matching academics with innovation, which falls in line with the 21st century growth for online studies. Therefore, if you own book bookshop or you are a book author, book merchant or publisher, you can sell your books on Nairabookstore.com and make money while seating back in relaxation. We have setup payment systems to make payments easy for buyers rather than having them go to the bank to pay for your Books, e-books, or textbooks. What kind of books/materials can I buy at nairabookstore.com? How much do I get after I make a sale? You will earn 70% of each sale you make. Your sales will be recorded in your Nairabookstore.com dashboard and we will send out payments at the end of every month regardless of how much you have in your Nairabookstore.com account. No thresholds. In order to sell educational Books on Nairabookstore.com, you will need to create a vendor account. Note Nairabookstore.com takes commissions of 30% from any sales you make. We accept materials like Educational textbooks of any institution, exam past Questions and answers of any level and also project topic and materials for final year students in higher institutions. Note that all materials will be in PDF or MS word format. Here’s what you need to know about each step of the selling process. Add a note which will be sent out as mail to customers after purchase, you can use the “purchase note” field on the form for that. 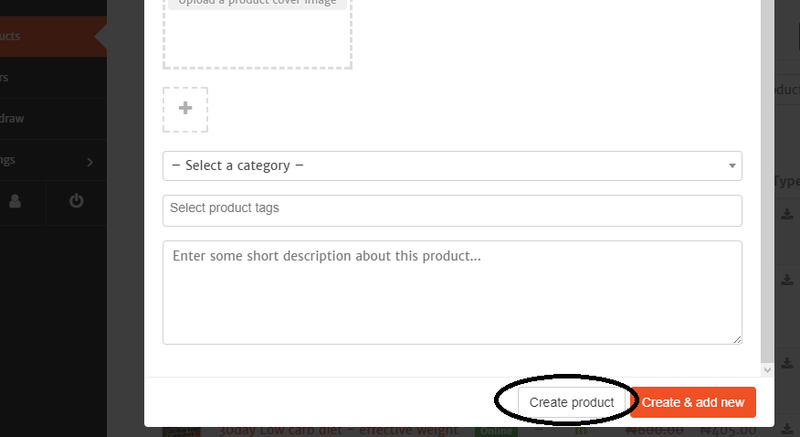 Double check your listing is accurate and when you are satisfied with your product click on “save product” button. Wait for store managers to vet your listings and they will approve within few minutes if your product meets our requirement.